For fun one distinctive address ,always can be shortened in relaxation and recreation in the magic of nature after the trouble of hard work . This great advantage that gasping behind it many people, especially the stars and celebrities, who are searching for a lovely and quiet place away from the noise and bustle of the media , one of the most places that have this kind of unique natural charm is Malaysia ,a country in Southeast Asia, consists of 13 States and three federal territories, with a total area of 329845 sq km, and its capital is Kuala Lumpur. -Malaysia is a distinct destination for big stars and wealthy who come all the year from all countries of the world to enjoy the natural wonders and scenic beaches. The most famous and important places to visit when you go to Malaysia is the archipelago ,known as the Langkawi archipelago, consisting of several islands located 20 miles west of the Malay Peninsula in the Strait of Malacca, where Malaysia is approaching greatly from Thailand. -The archipelago is characterized by its rural atmosphere, also known for its population tendency to catch fish of various kinds, the Limestone columns rise vertically from the sea water. It is also the headquarters for the first geological Park established by UNESCO in Southeast Asia, a region where rock formations dating back to prehistory, and there was already filming some scenes for the movie Anna And The King. Langkawi archipelago is looks like the islands of Phuket and Bali 40 years ago before coming the concrete mixers to there. The archipelago is subject to protection in the east by the Malay Peninsula and west by Sumatra, so it enjoys a tropical climate suitable for tourism atmosphere throughout the year, and the temperature is 30 degrees C daytime and 28 degrees during the night. -As for the nature of the traffic there, it can be said that five cars are crowded traffic. Four Seasons Hotel is considered one of the most famous places frequented by stars and celebrities to relax, especially it overlooks northward the Andaman Sea towards the Thai island Ko Tao , as well as extends on an area of 48 acres, all filled with swimming pools, gardens, palm trees ,frangipani flowers ,tamarind and mango , above all this full of quietness. The site visitors may take some time to adjust to the beauty of nature, but they will not feel the need for something in the end, under availability of nearly 400 employees and workers, can provide various required services. -You can enjoy more wonderful wildlife in Langkawi through the naval boat trips , these cruises take for nearly four hours to take a tour around the Islands , and visit the most important islands of the archipelago, the boat can carries from eight to 12 people. Visitors can also enjoy the shopping and purchasing activity, do not worry about payment methods, where there are ATM and money exchange booths in the airport in Langkawi, and in Langkawi shopping complex next to the famous waterway in Pantai Cenang. Tourists can also eat what they want from foods in all resorts, which have restaurants, each according to its own budget. A quality of small monkeys are spread , known as macaques, and eagles spread in the sky , while trees are exposed to air and tides. 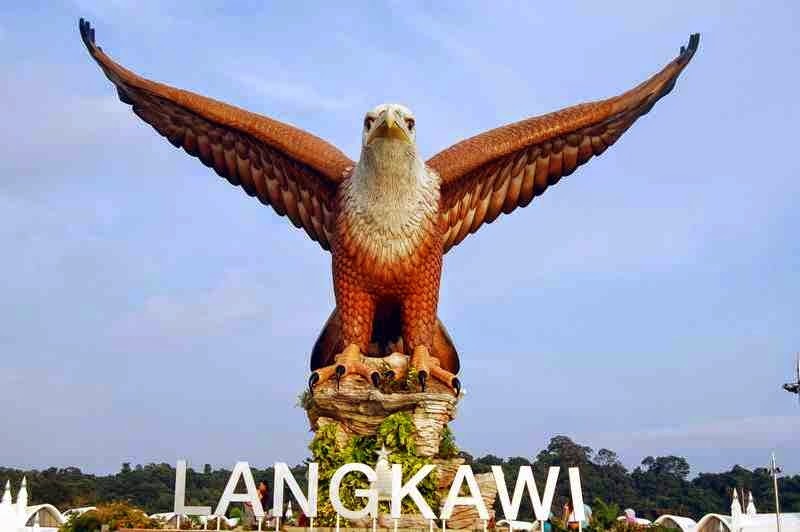 -Pulau Langkawi is the main island of Langkawi archipelago, and filled with interesting antiquities ,such as superstitious and terrifying legends ,the giant bird, warriors ,princesses ,and battles . The archipelago also features with amazing and unique types of rocks , great stunning caves, as well as the charming beaches and clear waters which encourage the practice of water sports activities. The most popular sites that can be visited in the archipelago is Kuah town , is the main city, the departure station to all the islands of the archipelago. -The most prominent landmarks there are The Seven Wells waterfall ,Gunung Raya Mountain, Crocodile Adventure Land ,Laman Padi garden which is famous for the cultivation of rice , the legends Park spanning an area of 50 acres, Underwater World , Eagle Square, East Village ,Galeria Perdana , The Summer Palace ,and Ibrahim Hussein Foundation Museum . There are also an ancient cities with a long history and a great civilization such as, Makam Mashuri, Air Hangat Village Northwest of kuah, and Tanjung in the North of the archipelago, which is rich in its monuments and its attractive coastline. There are also a rural coasts best known Pantai Kok ,Cenang ,Tengah ,Datai , Burau Bay, and a lake known as “Pregnant Maiden Lake” , the largest lake in the archipelago, and tell the story of the fairy princess of Faerie and her marriage to the Prince of the land and have a baby. The Langkawi archipelago is famous also for its rich marine life ,fish coral reefs ,and sandy coastline which attracts many visitors to discover it ,especially amateur scuba diving . -As for transportation, you can access there using the plane ,where there is Langkawi International Airport , located in the north-western part of the island, previously treated with 1.2 million passengers in 2008. There are direct flights available to Langkawi from Penang, Singapore and Kuala Lumpur and Hat Yai and Phuket. There is also a river boat of Langkawi , and Telaga harbour ,which walks ferryboats from Collip and Thailand twice a day during the peak tourist season. Either inside the archipelago, you can use taxis and cars and motorcycles and bicycles . 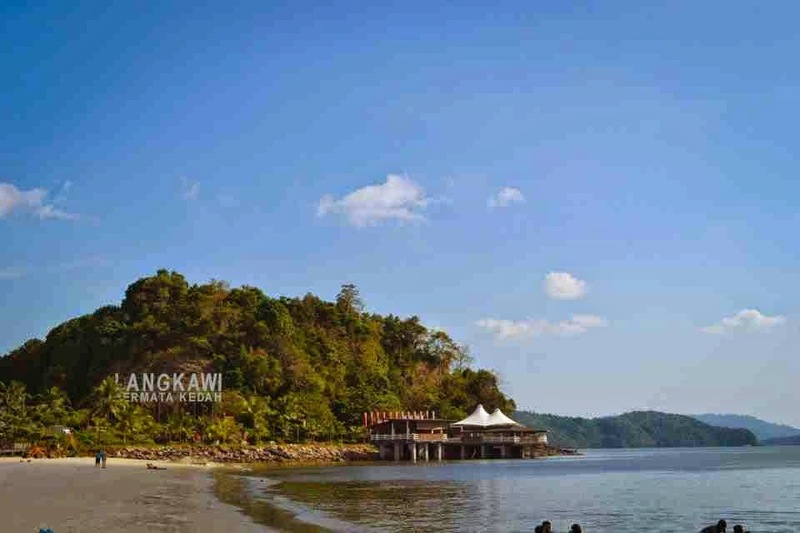 The most important hotels in Langkawi are Cenang Beach ,Chandek Kura , Daddy's Guesthouse ,Gecko Guesthouse ,Cabin Langkawi ,GeoPark ,Melati Tanjung, and The Palms Guest House and other.